A Blues Icon Who Rocks Unwillingly Muddy Waters' 1968 blues-rock hybrid Electric Mud works as an intermittently spirited experiment, a loosely structured attempt at moving an icon beyond the traditional. The legend sounds like a lost soul from the Delta who's wandered into the exaggerated druggy debauchery of a hippie movie. Critic Tom Moon unearths and champions long-neglected examples of musical greatness. The crossover move is as old as the hills. What are some albums that accomplished this feat, while retaining the artist's integrity? Discuss Waters' legacy and submit a comment here. 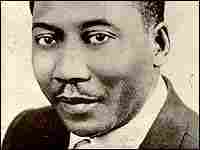 Reviled by purists, Muddy Waters' 1968 blues-meets-rock crossover attempt Electric Mud was dismissed by its creator several times over the years, until he'd essentially disowned it. In a 1970 interview, Waters complained that the session — which had been arranged by Marshall Chess, son of label co-founder Leonard Chess and the man responsible for the company's day-to-day operation — wasn't his idea of blues. "Every time I go into Chess," he complained, the label honchos "put some un-blues players with me... If you change my sound, then you gonna change the whole man." Several years before he died, Waters was more direct, calling the album "dog s---." Electric Mud did indeed change the man's basic sound. Chess encouraged the guitarists to play far-out stuff, adding what Waters termed "wow-wow" (wah-wah) and fuzztone. He also augmented the typically spare rhythm of Waters' live band with lots of organ, and on some songs an out-of-place saxophone. Waters didn't play any guitar: Instead, Phil Upchurch, Roland Faulkner and Pete Cosey created thick tangles of rhythm and lead to update longtime Waters warhorses like "I Just Want to Make Love to You" (audio) and "I'm Your Hoochie Coochie Man." It's different, that's for sure — and though Waters didn't like it as art, he was, according to his biographer Robert Gordon, happy to see it sell. Heard now, after a zillion weaker blues-rock crossover tries, Electric Mud is hardly the crime against blues culture many have alleged. It's better seen as an intermittently spirited experiment, a loosely structured attempt at moving an icon beyond the traditional. There are moments when Waters' weary voice meshes perfectly with the psychedelic guitars, functioning as a lost soul from the Delta who's wandered into the exaggerated druggy debauchery of a hippie movie. Elsewhere, the desire to appeal to the rock crowd becomes more craven: His awkward version of The Rolling Stones' "Let's Spend the Night Together" (audio) won't make anyone forget the original. 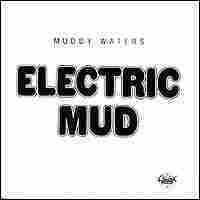 Still, there's plenty of vibrant music lurking within Electric Mud, which was apparently one of Jimi Hendrix's favorite Muddy Waters records. More recently, it's been an obvious source of inspiration to gonzo blues-rockers: Traces of its raggedly fuzzy ethos have informed music by The White Stripes and Black Keys, among others. Unlike blues purists who hear only blasphemy in its murk, these guys appreciate the boldness of the attempt, and the clever ways in which a bunch of Chicago musicians created a rock atmosphere bold enough to accommodate the mighty Muddy Waters.